Welcome to the Department of Pathology at the University of Tennessee Graduate School of Medicine, Knoxville. Our chairperson, Dr. Lisa Duncan completed her residency in the Department of Pathology, UTGSM, in Anatomic and Clinical Pathology in 2001 and also completed a Cytopathology Fellowship in 2003. The collegial atmosphere which pervades all departments creates an environment that is good for patient care and resident and fellow education. The Department of Pathology here at the University of Tennessee Graduate School of Medicine, is a hybrid defined by a busy practice in an academic medical center. The pathologists in this department are excellent physicians who are committed to resident education. This department is growing. High volume, case complexity, and variable case mix create a high pace environment that trains pathology residents to become productive competent pathologists capable of performing well in any type of practice setting. Case volume per year includes 30,000 surgical pathology specimen, 50,000 cytology specimens, and ample clinical pathology experience in a reference lab. The Department of Pathology strives to achieve a three-fold mission of excellence in service, education, and clinically relevant research. 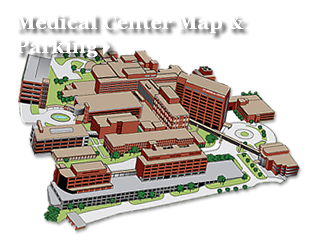 The department will provide timely and state-of-the-art anatomic and clinical laboratory services to the patients at the University of Tennessee Medical Center and this region, including the physicians who treat them. The department is fully committed to the education of pathology residents and fellows based upon the premise of lifelong learning. The department will participate in and coordinate research activities that support this institution's academic mission and contribute to the care of its patients. Patient care is at the core of everything this team does and should be what guides decision making. As this department serves others the rewards of success are a natural consequence. To respect others is to value their ability to contribute positively to the organization. A finite amount of resources have been entrusted to this department and must be used wisely. Recognize, develop and recruit for creativity to ensure ongoing progress in an ever changing world. The goal of the program is to graduate pathologists and laboratory directors with superior technical competence, clinical acumen, and intellectual depth. By developing these characteristics, the graduates will be able to bring the methods and scientific principles of current and developing pathology practice to the aid of the clinician. The objectives of the program are to instill and develop in the residents the competencies (as defined by the American Board of Pathology) required for the practice of pathology and medicine in general. Demonstrates a satisfactory level of diagnostic competence and the ability to provide appropriate and effective consultation in the context of pathology services including: effective communication with patients and families; ability to gather essential and accurate information about the patient from all available sources; make informed decisions based on current scientific evidence and clinical judgment; use information technology to support patient care decisions and education of patients and other health care workers; perform competently all technical and invasive procedures essential for the practice of pathology; develop appropriate diagnoses or differential diagnoses; work with other health care professionals to provide patient-focused care. Demonstrates knowledge about established and evolving biomedical, clinical and cognate (epidemiological and social-behavioral) sciences and applies this knowledge to patient care; demonstrates an investigative and analytic approach to problems; consults appropriately in complicated problems; is familiar with the pathology literature; has a sound knowledge of laboratory management including implementation of all applicable safety regulations and sound management; is an effective consultant to clinicians. Investigates, evaluates and improves laboratory and medical practice and medical knowledge on an ongoing basis; participates in quality assurance and quality improvement procedures; appraises and assimilates evidence from scientific studies; applies knowledge of study design and statistical methods to appraisal of clinical and pathologic studies; uses information technology to manage information and to support continuing education activities; facilitates learning of students and other health care professionals; is receptive to new ideas. Demonstrates skills that result in effective information exchange and team building with patients, patients' families, and professional associates; expresses ideas and positions clearly both orally and in writing; ensures that reports are complete and up to date; keeps thorough and accurate records; is objective, frank, and concise; is an effective listener; works effectively with other members of the health care team; gives clearly defined orders and administrative directives. Demonstrates a commitment to carrying out professional responsibilities, adherence to ethical principles, and sensitivity to diverse patient populations; carries out duties with dispatch and thoroughness; is prompt and well-prepared for conferences and teaching assignments; assumes delegated responsibility; demonstrates stability in critical situations; demonstrates respect, compassion and integrity; is responsive to needs of patients and society at a level that supersedes self-interest; is committed to excellence and on-going professional development. Demonstrates awareness of the role of pathology in large medical systems and public health; is able to call on system resources to provide pathology services that are of optimal value; understands the reciprocal interaction of pathology practice with that of other health care professionals, health care organizations, and the larger society; demonstrates knowledge of different types of health care delivery systems including federal, state, and local laboratory regulations, billing and compliance issues; practices cost-effective health care and resource allocation without compromising quality. 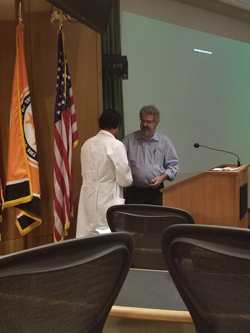 The Department of Pathology recognizes a resident in the Pathology Residency Program annually who "... by their actions, has fostered excellence in education, research, practice or community service." The resident is selected by the pathology faculty and recognized at the annual Pathology Research Day. The Frances K. Patterson Gift Fund and Resident Award were created to continue the legacy of Dr. Patterson. Dr. Patterson was a very important part of this residency program, the Department of Pathology and the institution. Dr. Patterson began her association with the University of Tennessee Medical Center as a pathology resident in 1968 and continued her work as a pathologist and residency program director for many years. 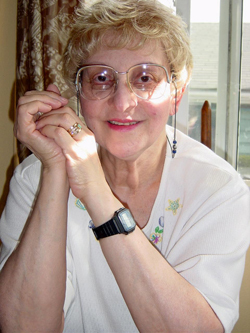 Dr. Patterson passed away in January 2005 and continues to be remembered for her zest for life and devotion to teaching. 2009: Sarah E. Hamler, D.O. 2007: Amber L. Patton, D.O. 2006: James J. Lyons, M.D. 2005: Jeffrey S. Johnston, M.D.